Against the injury of Josef! Fight repression! On tuesday the 23-year-old antifascist Josef S. from Jena was convicted in a court of law in Vienna. Josef was part of an antifascist demonstration in January, which took place in Vienna in protest against the “Akademikerball”, the annual meeting of right wing parties from all over Europe. Although he’s fortunatly free because now he already spent more than a half year in pre-trial custody, the judgement is an attack on the whole antifascist movement. At the same time our comrade Hüsein is still imprisoned because of the same reason. We support the demonstration against the criminalisation of antifascist activism taking place tomorrow in vienna (18pm Pestsäule). An injury to one is an injury to us all! 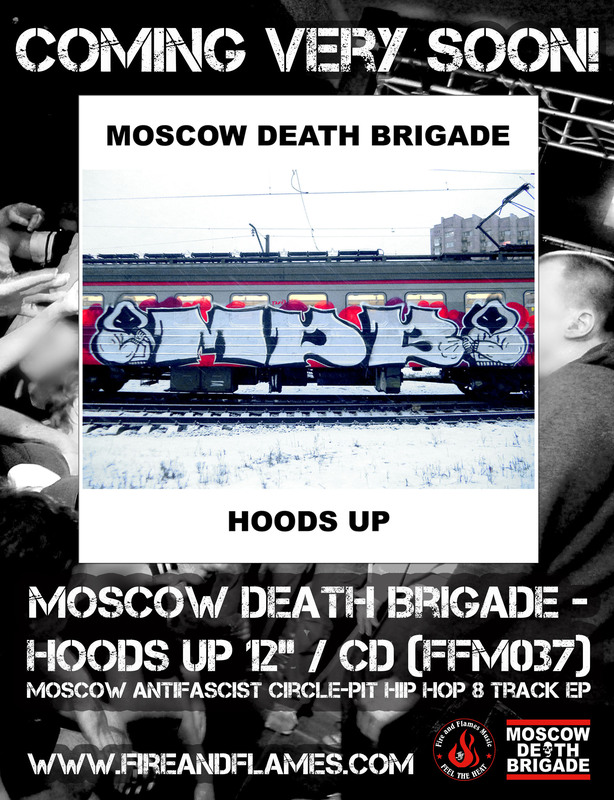 We are honoroured to announce the first ever vinyl and cd release of Moscow’s unique antifascist circle-pit hiphop crew Moscow Death Brigade on FFM. 12″ and cd include the 5-track „Hoods Up“ ep and three bonus tracks, one never published anywhere before. Available within the next weeks, stay tuned. Du browst gerade in den Fire and Flames Weblog-Archiven nach dem Monat Juli 2014.